Ubuntu 14.04 LTS and its official flavours have been released a couple of days before. In this brief how-to, let us discuss how we can enhance Ubuntu 14.04 and other older versions further for day to day activities. This post we will share some interesting insights and ideas about what you can and should do after a successful installation of Ubuntu. If you have already a previous release of Ubuntu, and want to upgrade to the latest 14.04 version, then please follow our step by step guide upgrade to Ubuntu 14.04 Trusty Tahr. First of all, after fresh installation of Ubuntu 14.04 Trusty, check the following few things first. If sound is not working, check our previous post to resolve the issue. Before proceeding to upgrade, the first and important thing to do is update/upgrade software repositories and make sure your systems contains latest versions of all software. Whenever, you start typing in Unity Dash to search for an application or a file in your computer, your search terms will be automatically sent to third parties such as Amazon, and the third parties will display the relevant results (mostly ads) depending upon your search terms. If you don’t like this feature and feel this is really annoying to you, you can disable it. Read the more details in the following link. Read our Interview with Ding Zhou of Ubuntu Tweak. Read our previous to know how to install and use Ubuntu Tweak. For more details about installation and usage of Ubuntu After Install Check out the following link. The above two tools are enough to get a near perfect Ubuntu desktop for daily usage. These tools will help you to install every essential applications and tweak your system as per your needs for daily usage. You can omit all other things given below. Still you want to continue, go on and check them. One of the top things you need to do is to setup your online accounts (Facebook, twitter…). To do that click on thegear button on the top right corner and select System Settings. Enter your facebook username and password, and click Log in to authorize. Conky is a free, light-weight system monitor for X, that displays any information on your desktop. There are many nice themes available for conky that can display clock, CPU usage, RAM usage, swap, disk, net and more. Check our previous post for installation and configuration of conky in Ubuntu 14.04/13.10/13.04/12.10/12.04. XBMC is an award-winning free and open source (GPL) software media player and entertainment hub for digital media. XBMC is available for Linux, OS X, Windows, and the original Xbox. While XBMC functions very well as a standard media player application for your computer, it has been designed to be the perfect companion for your HTPC. Supporting an almost endless range of remote controls, and combined with its beautiful interface and powerful skinning engine, XBMC feels very natural to use from the couch and is the ideal solution for your home theater. Note: PPA is not yet working in 13.10 at the time of writing this article. Hope it will be updated soon. Read also our interview with Jonathan Thomas the main developer of Openshot. Check our previous article to know about the powerful video encoder called “Handbrake”. Check our previous article to know more about uTorrent. If you’re want to install Skype, check our previous post. For details about Jitsi please check our previous article in the following link. If you are a grate fan of gaming so is important to add PlayDeb repositories to your Lucid Lynx. PlayDeb is a gaming repository for Ubuntu aimed to provide titles already available on getdeb.net in an easier to install and update format. You can install many games by a simple click. Please follow instructions in our previous post. In order to share folders in Raring Ringtail with other Linux and windows machines in your network, you will need to install and configure Samba share, for instructions how to configure Samba in Ubuntu check our previous post. Dropbox is a free service that lets you bring all your photos, docs, and videos anywhere. This means that any file you save to your Dropbox will automatically save to all your computers, phones and even the Dropbox website. Dropbox also makes it super easy to share with others, whether you’re a student or professional, parent or grandparent. For installation, follow the instructions in our previous post. Want to spice-up your desktop with awesome wallpapers, well you can use the following two programs to change your desktop wallpapers in a particular interval. Variety is a wallpaper changer for Ubuntu which is feature-full, yet slim and very easy to use. It can automatically download wallpapers from various online sources such as Flickr, Wallbase.cc, World sunlight map (a live wallpaper that changes as the day progresses), Wallpapers.net, NASA Astronomy Picture of the Day, Desktoppr.co etc. It allows rotating them on a regular interval or on demand, and provides easy to use ways to separate the great images from the junk. To install it under Ubuntu follow our previous post instructions. Wallch is an application that can be used to change your Ubuntu (Ubuntu derivatives) desktop wallpapers automatically at a particular period of time. It supports Gnome and Unity. It also let you to stop/start wallch, change to next/previous wallpaper. You can adjust/change the wallpaper changing interval. Wallch supports live Earth wallpapers which updates automatically every half an hour, therefore you can set the live Earth wallpapers as your desktop background. For more details about App Grid, check our previous article in the following link. For more details about BUM, check our previous article in the following link. For more details about TLP, check our previous article in the following link. For more details about BleachBit, check our previous article in the following link. Timeshift a application that provides functionality similar to the System Restore feature in Windows and theTime Machine tool in Mac OS. TimeShift protects your system by taking incremental snapshots of the file system at regular intervals. These snapshots can be restored later to bring your system to the exact state it was in at the time when the snapshot was taken. Also install the following useful software’s if you like. Opera – The fastest browser on Earth is even faster. But that is not all. Use Opera Turbo to double your page-download speed on slow connections. Google Earth – Travel to cities across the globe, dive into the depths of the ocean, explore remote islands or even fly to faraway galaxies. Ubuntu is a free operating system or a Linux distribution (“distro”) which currently receives the second highest hits after Linux Mint atDistroWatch. Looking for a desktop interface with a start menu that looks closer to the traditional Windows system? Then give Linux Mint a try and check out Tips and Tricks for Linux Mint 17 Qiana Cinnamon Edition orMATE Edition. 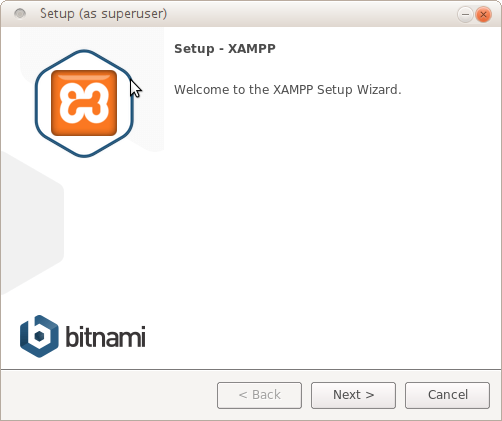 Note: The tips and tricks included in this article work well with Ubuntu 14.04 LTS Trusty Tahr. Please see this article if you’re using an older version of Ubuntu. Click the Control Gear and select “System Settings”. Under the Look tab, drag the slider of “Launcher Icon Size” to the left for a smaller size, or right for a bigger size. Under the “Behavior” tab, switch on or off the button of “Auto-hide the Launcher”. To reveal the Launcher temporarily, just press and hold the Super (aka Windows) key, or move your mouse cursor to the far left of the screen. You can adjust the reveal sensitivity with the slider under the “Behavior” tab mentioned above. If it still doesn’t work very well, you can adjust the amount of mouse pressure in the following tip. After auto hiding the Launcher, you can reveal it by moving the mouse cursor to the left edge of the screen. But when you feel that you have to actually knock the mouse cursor against the screen edge hard enough to get the Launcher revealed, then it’s better that you adjust the ‘mouse pressure’ using CompizConfig Settings Manager. Select “Desktop” from the left panel. Under the “Launcher” tab, adjust the preset value of “Launcher Reveal Pressure” or “Launcher Reveal Edge Responsiveness” where applicable, to lower to make the launcher easier to reveal, or higher to do otherwise, click “Back” and “Close”. When you do a search from the Dash in Ubuntu, it offers additional search results including shopping suggestions, a feature known as “Shopping Lens” or “Unity Smart Scopes”, underneath the local search results by default. If you don’t like these suggestions, you can turn them off or back on. Click the Dash Home icon on the Launcher and click “Filter results” next to the search box. Under Personal, select “Security & Privacy”. Under the Search tab, turn off “When searching in the Dash: Include online search results”. Under the Behavior tab, check “In the window’s title bar” to show the menus for a window. The menu appears when you mouse over the window’s title bar. To enable the global menu, re-check “In the menu bar” to show the menus for a window. If you run an application without maximized and the system always puts it in the left-top corner of the desktop, but you are allowed to set a program window to open up in the center of the desktop area. Select “Windows Management” from the left panel. Change Placement Mode from “Smart” or other modes to “Centered”, click “Back” and “Close”. Themes in Ubuntu can be customized to suit your needs. The default theme “Ambiance” has the menu (File, Edit, View, etc) printed in white on a dark background, but you can easily switch to another theme such as “Radiance” to have the menu printed in black on a light background. These are easy steps to customize a theme. Press Alt-F2, type dconf-editor into the box, and press Enter to run it. Browse to com > canonical > desktop > interface, look for “scrollbar-mode” on the right panel and change the value from overlay-auto to normal. You can right click your desktop, select “Change Desktop Background” and choose any one of the wallpapers pre-installed, but you need to do it each time you want to change a wallpaper. What about changing a wallpaper automatically within a certain time interval? Try to install the wallpaper changer Variety. From the menu, click “Edit” then “Preferences”. Under Default View, change “Icon View” to “List View”, to see more details in columns. Tick “Show hidden and backup files” if that’s your choice. Sushi is a quick previewer of files in Files Manager. You can download the previewer from here if it’s not in your Ubuntu system. With this handy tool installed, you can preview text, PDF, audio and video files, and other supported documents in a single step when using the Files Manager. Under the Basic tab, click the icon image to open up the “Select Custom Icon” window. Note: You can change your custom folder icon back to the default by clicking the “Revert” button in the “Select Custom Icon” window at Step 2 above. In the Ubuntu file system, you can use “Files” Manager to browse most files but can only write files in your home folder /home/your_name and its sub-folders such as Desktop and Documents. If you have to rename a folder or write files outside of your home folder using the Files Manager, you won’t be able to but you can create a shortcut to run an advanced Files Manager for this purpose. Under the “Shortcuts” tab, select Custom Shortcuts, then click the “+” sign to create a custom shortcut. Enter a name such as Advanced Files Manager in the “Name” box. Click on Disabled at the Advanced Files Manager row in the Keyboard Shortcuts window (Disabled is then changed to New accelerator…). Press a new key combination, e.g. Ctrl+Alt+N (New accelerator… is then changed to Ctrl+Alt+N). Note: For Ubuntu 14.04, “gksu” is not available by default. You’ll need to enter sudo apt-get install gksuin the Terminal for it to work. If you’re using the 64-bit version of Ubuntu, enter gksu-properties in the Terminal after installing gksu and set the authentication mode to sudo. To disable a shortcut, press Backspace when it shows “New accelerator…” after the step 3 above. Keyboard shortcuts can also be set by changing keybinding values with Configuration Editor. In Ubuntu, press Alt+F2 and enter dconf-editor, then navigate to org > gnome > desktop > wm > keybindings. Enter xkill to both the Name and Command boxes and click theApply button. Click on Disabled at the xkill row in the Keyboard Shortcuts window (Disabled is then changed toNew accelerator…). Press a new key combination, e.g. Ctrl+Alt+X (New accelerator… is then changed to Ctrl+Alt+X). Ubuntu only includes completely free software by default and does not configure proprietary media formats such as mp3 and mp4 ‘out of the box’. The required codecs however can be easily installed for the default player to playback these files following a few simple steps below. Download the screenlet “WaterMark System Information” to a folder. Browse to the folder, select the file downloaded and click “Open” to install the screenlet into the Screenlets manager. Enter sudo apt-get install oracle-java7-installer to download and install the Oracle Java packages. Enter sudo update-alternatives –config java to choose the default Java for use in the system when necessary. Note: The new version of Oracle Java may not allow you to run applications or services that are unsigned or self-signed. If you trust the services that you’re using, you may configure the security level of JRE or add the services to the Exception Site List using the Java Control Panel. To run it, press Alt-F2, type jcontrol then press the Enter key. Ubuntu is capable of reading and writing files stored on Windows formatted partitions using NTFS file system, but partitions must be ‘mounted’ before they can be accessed. With these steps, you can auto mount the drives or partitions without the need to manually mount them for access each time you start up the system. Below is a way of doing it by adding an entry in the fstab file. Replace the above 16-digit number with the UUID you’ve got from step 1, then click ‘Save’. To identify disk partitions by label, either use sudo blkid or ls /dev/disk/by-label -g in the Terminal. The “Disks” utility mentioned in “Name or Label a Partition” also gives you a glance of device numbers, partition types, sizes and labels. Note: If “gksu” is not available, enter sudo apt-get install gksu in the Terminal to install it. If you’re using the 64-bit version of Ubuntu, enter gksu-properties in the Terminal after installing gksu and set the authentication mode to sudo. A USB storage device plugged into the system usually mounts automatically, but if for some reasons it doesn’t automount, it’s possible to manually mount it with these steps. Enter sudo fdisk -l to look for the USB drive already plugged in, let’s say the drive you want to mount is /dev/sdb1. Click the Dash Home icon (or tap Super), type ‘Startup Applications’ to search for the application and run it. Click the “Browse” button and navigate to “Computer” > usr > bin, where programs are usually installed. Select a program, click the “Open” button followed by the “Add” button. If your Ubuntu system always pops up a dialog saying “System program problem detected” each time you log in even though you’ve already reported the problem, you might need to clean up all old crash reports by entering a command line below in the Terminal. Click the Dash Home button and type “Startup Applications” to search for the application and run it. In the Name field, type “Login Sound” (no quotes) or any other name you like. Give a comment you like, such as “Plays a sound when I log in”. Under the “General Settings” tab, select the default entry you like to boot up from the drop-down menu. Each time when Ubuntu updates to a new Linux kernel, the old one is left behind and the boot menu gets complicated. If your new Linux kernel works well, it’s safe to clean up the boot menu. Do take these steps carefully as incorrectly hiding the items can make your system unbootable. You can check the Linux kernel version you’re running by entering this command line uname -r into the Terminal. To clean up the boot menu, it’s pretty straightforward with Grub Customizer used in the tip above. Besides Ubuntu Tweak, try also Unity Tweak Tool available here. It’s designed to adjust the settings specifically for the Unity desktop with a simple and easy-to-use interface. With this tool, you are able to fine tune the Launcher, Search, Panel, Switcher and more. LEMP is a combination of the operating system and open-source software stack. The acronym LEMP is derived from first letters of Linux, Nginx HTTP Server, MySQL database, and PHP, Perl or Python. We already have shown you how to install LEMP and LAMP servers on many platforms. In this tutorial, let us see how to install Nginx, MySQL or MariaDB, PHP and phpMyAdmin on Ubuntu 14.04 LTS server. Here, my testbox hostname is server.unixmen.local and IP address is 192.168.1.250/24. Change these values with your own where it appropriate. Nginx (pronounced engine-x) is a free, open-source, high-performance HTTP server and reverse proxy, as well as an IMAP/POP3 proxy server written by Igor Sysoev. Open up your web browser and navigate to http://ip-address/ or http://localhost/. You will see a screen something like below. Set the worker_processes (i.e No. of CPU’s in your system). To see the no. of CPU’s, use the command “lscpu”. In my case it’s “1″. So I set this as ’1′. The default vhost(server block) is defined in the /etc/nginx/sites-available/default file. Open the file /etc/nginx/sites-available/default in any editor. Under the Server section, set the server FQDN or IP address as shown below. Make sure you’ve added index.php line. root /usr/share/nginx/html; –> document root directory. server_name server.unixmen.local; –> Server FQDN. Now scroll down further and find the section #location ~ \.php$. Uncomment and modify the following lines as shown below. Here, I added an extra line ‘try_files $uri =404;’ to prevent zero day exploits. Now MySQL server has been installed. Note: If you want to use MariaDB instead of MySQL, then follow the below steps. Now add MariaDB PPA to install it. Run the following commands to add PPA. During installation you will be asked to set database ‘root’ user password. Click Yes to migrate to MariaDB. Note that you’ll not be asked this question if you install MariaDB before MySQL. Find the line ‘cgi.fix_pathinfo=1′, uncomment it and change the value 1 to 0. Create a sample “testphp.php” file in nginx document root folder. and modify it to listen = 127.0.0.1:9000. Save and exit the file. Restart php5-fpm service. Find the line fastcgi_pass unix:/var/run/php5-fpm.sock; and change it to fastcgi_pass 127.0.0.1:9000; as shown below. Save and exit the file. Finally restart nginx service. phpMyAdmin is a free open-source web interface tool used to manage your MySQL databases. Select any webserver. By default, nginx will not be displayed here. So, select apache or lighttpd and let us link phpmyadmin to work with nginx webserver later. Select Yes to configure database for phpmyadmin with dbconfig-common. Enter password of the database’s administrative user. Enter MySQL application password phpmyadmin. The phpMyAdmin installation has been completed. Create a symbolic link between phpMyAdmin and the website root directory. Here our website root document directory is /usr/share/nginx/html/. Now you can access the phpmyadmin console by navigating to http://server-ip-address/phpmyadmin/ from your browser. That’s it. Your LEMP server is up and running now. LAMP refers to the first letters of Linux, Apache, Mysql and PHP . Step 1 » Type the below command for installing apache 2 package from repository . This command will install apache2 and its dependencies . 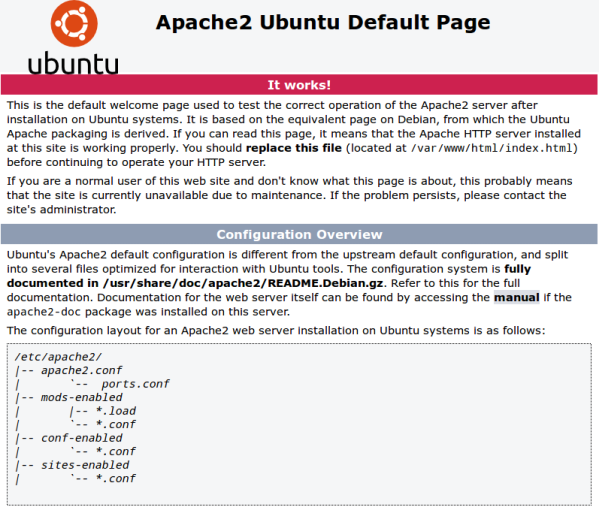 Step 2 » After installationm, Add the following line “ServerName localhost” to the/etc/apache2/apache2.conf file. Step 5 » Issue the below command to install mysql server with dependencies. Step 6 » During installation it will prompt for a new password for mysql root . Give some strong password and retype the same password for confirmation. Step 7 » After installation check the Database connection. Check the service status . Okay . Mysql server installation is over. 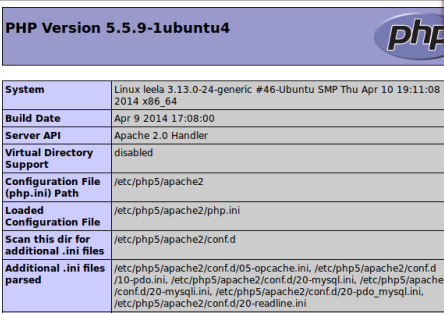 Step 8 » Type the below command to install php5 . Step 9 » Create a php file and paste the below code into the file to show the php configuration . Goto the default apache root path /var/www/html . create a new file phpinfo.php and paste the below code and save it. Step 10 » Now restart the apache2 service . you can see the php information page as below. and make sure you can see the mysql details in the php information page . We have sucessfully configured Apache2 , mysql and php . We need to test mysql database connectivity using PHP code . Step 12 » create a new file dbtest.php in the root path (/var/www/html) and paste the below code . kindly replace “password” with your mysql root password provided during mysql installation . Step 13 » open the file in your browser ( http://yourip/dbtest.php ). Now you could see the page like below. 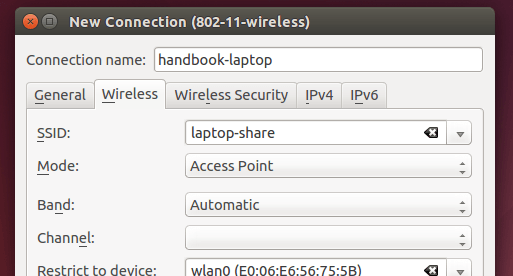 This quick tip is going to show you how to create wifi hotspot in Ubuntu 14.04 so that you can share a wired internet connection with Android devices through your wireless card. I’ve written about this in another post using a third-party app called ap-hotspot, but some readers said that not work. NOTE: To do below steps, your Wireless Card must support Access Point (AP) mode. 3. Click Add button and choose “Wireless (shared)” from the drop-down list. 4. Type in a name, ssid, and select Access Point mode. 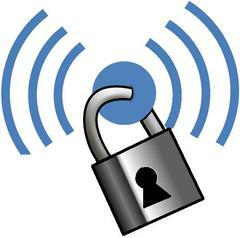 If want, set up a password under Wireless Security tab. Finally, click OK.
5. Already connected Wired internet? OK, click Network Manager applet on Unity panel and then choose “Connect to Hidden Wi-Fi network”, choose the connection you created in previous step and click Connect button. Turn on WLAN on your Android phone and you’ll see the access point in the list. Click connect and enjoy!